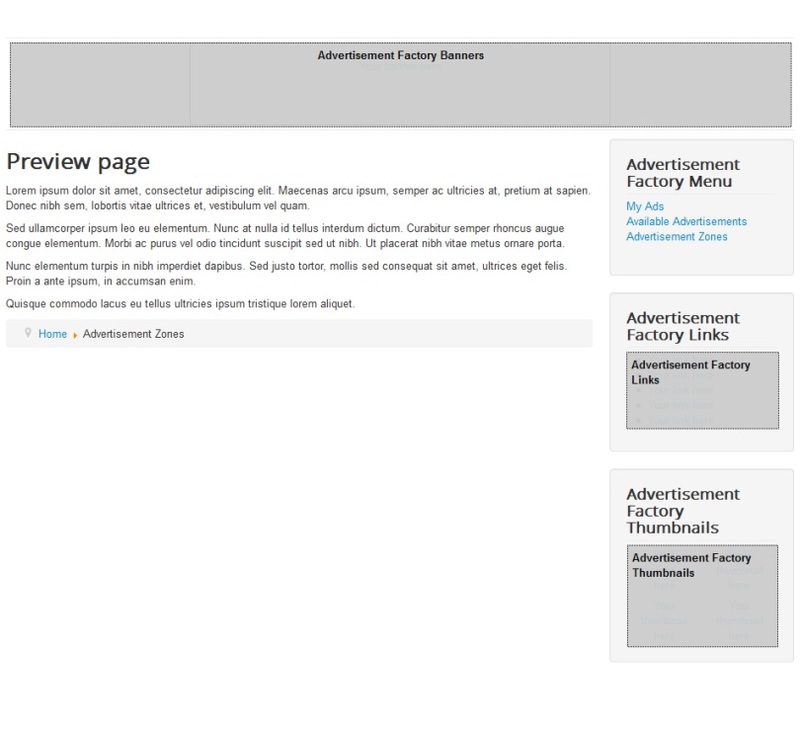 Advertisement Factory is a Joomla! extension that allows web users to post advertisements such as links, thumbnails, banners, etc. 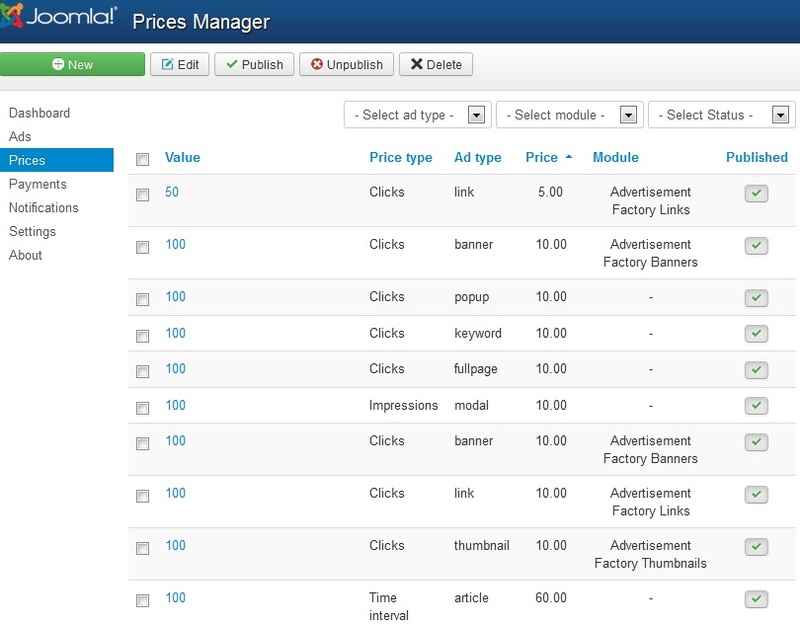 The permitted advertisements will be displayed on custom modules, where webmasters can define the price. 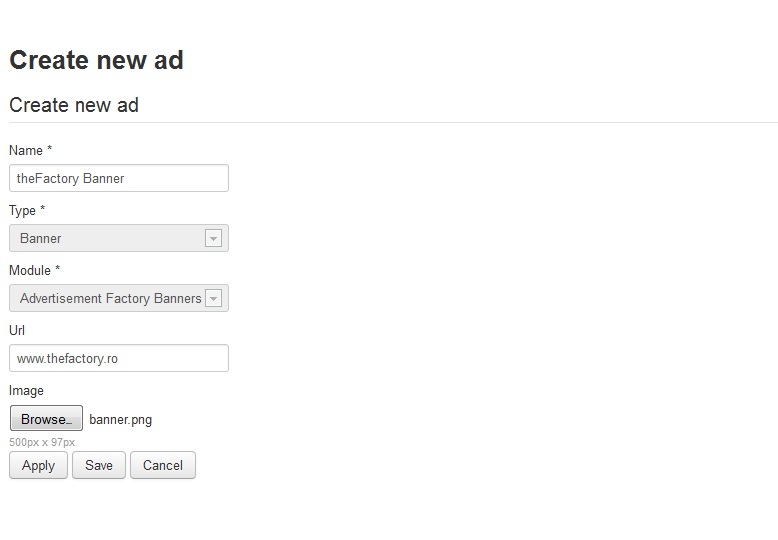 Actions: create new ads and edit existing ones, deal with pending ads, etc. 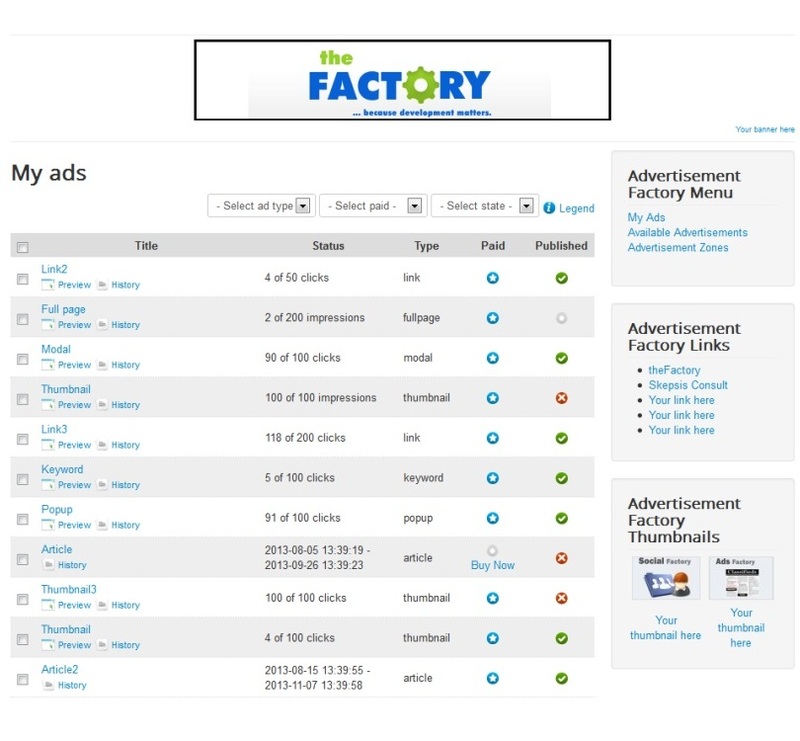 Advertisement Factory 3.1.6 released on November 12, 2018. 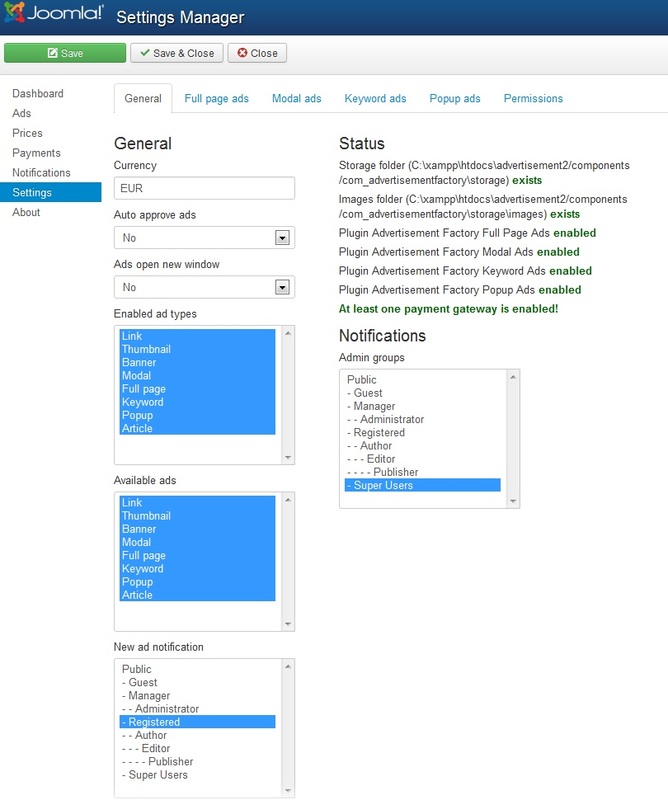 Advertisement Factory 3.1.5 released on May 30, 2018. 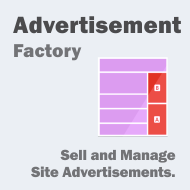 Advertisement Factory 3.1.4 released on February 28, 2018. New feature: added administrator latest payments module. Optimization: small issues and optimizations. 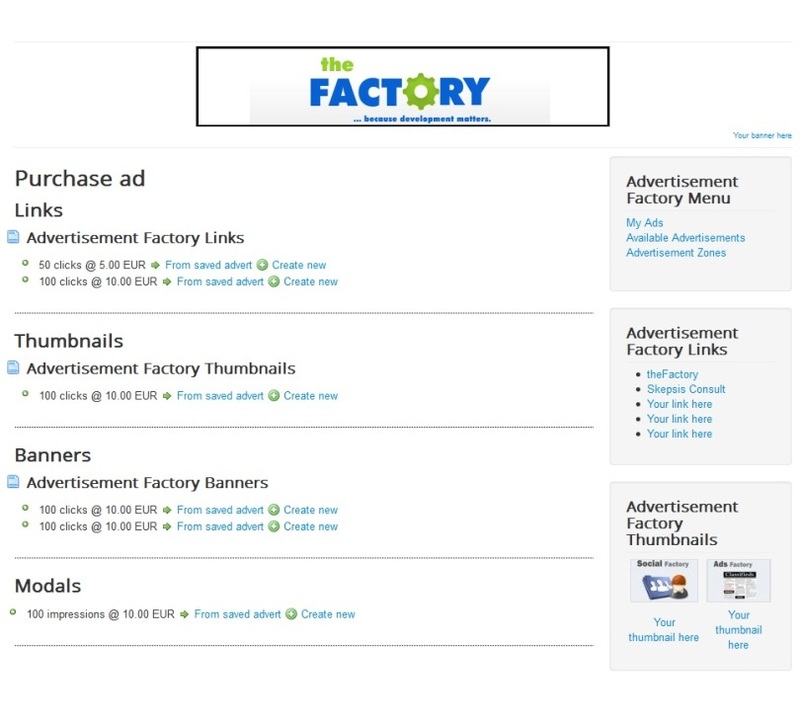 Advertisement Factory 1.0.0 released on March 1, 2011. 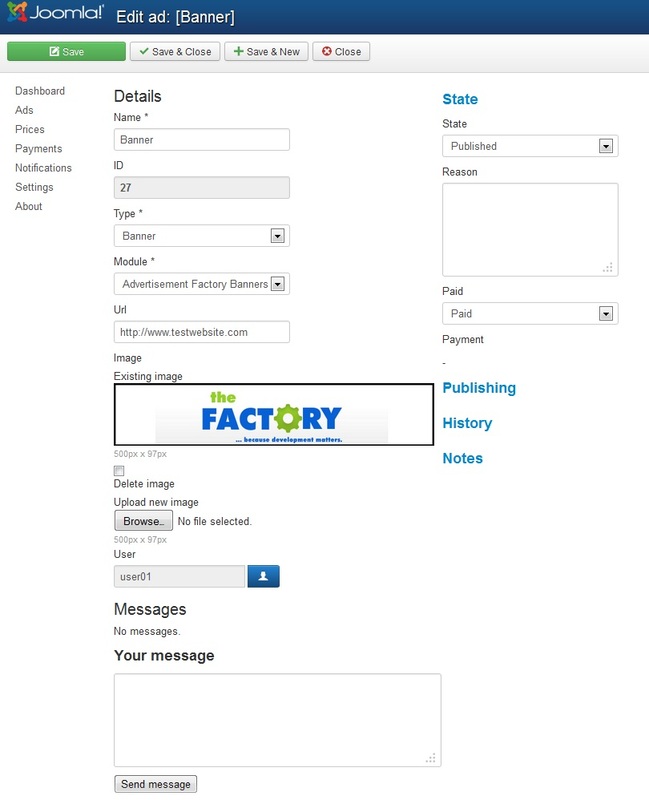 Screenshots are representing version 3.0.0 of Advertisement Factory.